With 15 locations in Little Rock, North Little Rock, Benton, Texarkana and Hot Springs, Fun Wash is dedicated to providing customers with the largest equipment selection and a safe, clean environment to get laundry done fast. We're a family owned company and take pride in providing customers with the best value for the money. Each Fun Wash Laundry Center offers a wide assortment of coin-operated washers and dryers to meet your needs — from single-load machines to giant capacity washers and dryers big enough to handle comforters, bedspreads, blankets and other bulky items. 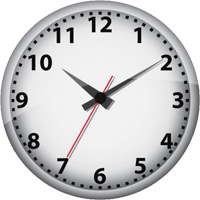 Five locations are open 24 hours for added convenience. Give us a try — we think you'll agree that Fun Wash offers the best laundry experience in the Mid-South. Serving Little Rock, N. Little Rock, Benton, Texarkana & Hot Springs. Treat your clothes to the latest laundry technology. 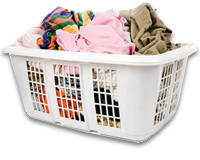 Try our drop-off service - let us do your wash.
Our Laundry Centers offer all the comforts of home. Every location offers Free Wi-Fi to keep you connected.